A milestone in the understanding of British history and imperialism, this ground-breaking book radically reinterprets the course of modern economic development and the causes of overseas expansion during the past three centuries. Employing their concept of 'gentlemanly capitalism', the authors draw imperial and domestic British history together to show how the shape of the nation and its economy depended on international and imperial ties, and how these ties were undone to produce the post-colonial world of today. Containing a significantly expanded and updated Foreword and Afterword, this third edition assesses the development of the debate since the book’s original publication, discusses the imperial era in the context of the controversy over globalization, and shows how the study of the age of empires remains relevant to understanding the post-colonial world. 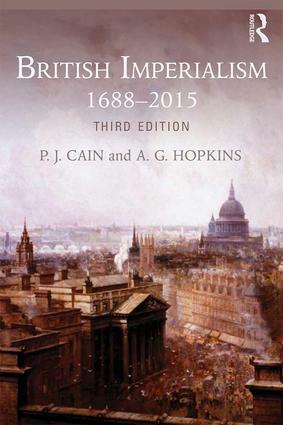 Covering the full extent of the British empire from China to South America and taking a broad chronological view from the seventeenth century to post-imperial Britain today, British Imperialism: 1688–2015 is the perfect read for all students of imperial and global history.